Well, Blossoms in Bangalore? I was in Bangalore during the spring and start of summer 2010, and have seen quite a lot of them. Here is a sample! But it is not this blossom that I am talking about. 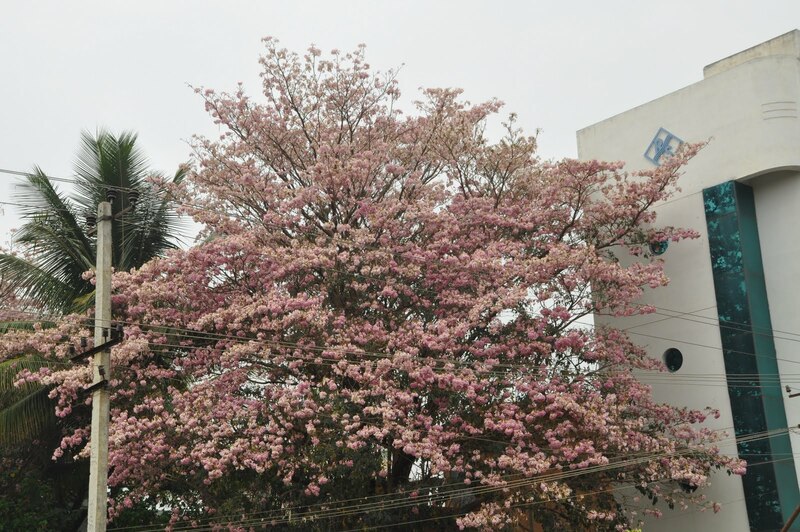 But there is a special Blossoms in Bangalore. It is round the year blossom of books! With the bibliophile that I am, the book is like a three storied candy shop. But anyways, I came to know about this “candy shop” from Tanu. She told me that you MUST VISIT this place. 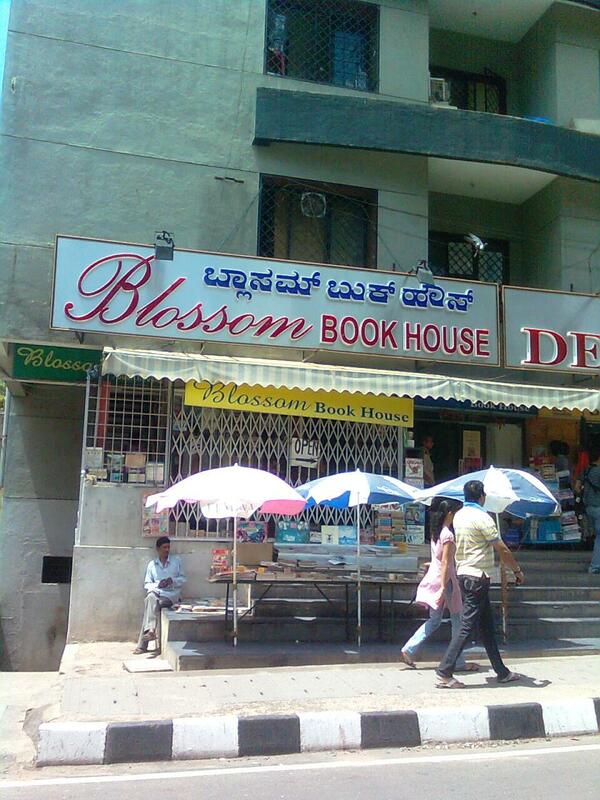 Okay, then me and GN directly landed from the airport to the Blossoms Book House in Church Street. The store has a unique feature to store your bags, they have small lockers and you lock your bag and keep the key! That apart the book store is one of the best that I have ever visited, no questions about that. The lower floor has books on philosophy, nature, films, music, architecture, media. General reading etc. The second floor is full of literature. This is a floor I have had not found time to visit in my two trips there. The best is the third floor. It has books on science, mathematics, computers, psychology, history and biographies among others. And the popular science section is amazing! They have all the titles arranged according to author names: like in a library and they maintain a computer catalog of these books. I got some really good titles here. Many of Mir books, Dover editions which were out of print. And that too at a reasonable if not cheap price always. The most commonly found book is Contact by Carl Sagan. I must have seen at least ~ 20 copies of this book in different editions in this store. The best part is that along with new books they also have old and second hand books. Which really sets the day for you. Out of print and rare books to be found here!! We could not just finish in time, it was already their closing time. And I did not feel how the three hours went by. Me and GN were just collecting, filling basket after basket by books. Finally the time came to leave, and books amounted to two cartons! How were we supposed to carry? They suggested that they will send it by parcel to Mumbai! So were are done! No matter what kind of books you read, you are sure to get them here! The next time story was no different. And we were in till there closing time again! be will try next time. But if you are in Bangalore its a MUST VISIT. A paradise and candy shop for bibliophiles!! Saurav is planning a visit to Bangalore just for Blossoms!! 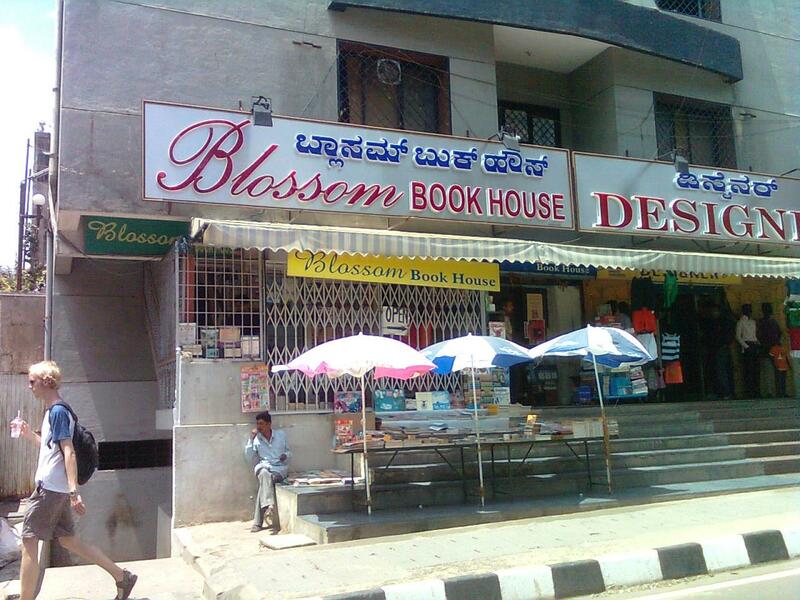 This entry was posted in bangalore, bibliophile, bibliophilia, books, dover, mir publishers, old book shops, old books. used books. old books market, second hand books. Bookmark the permalink.